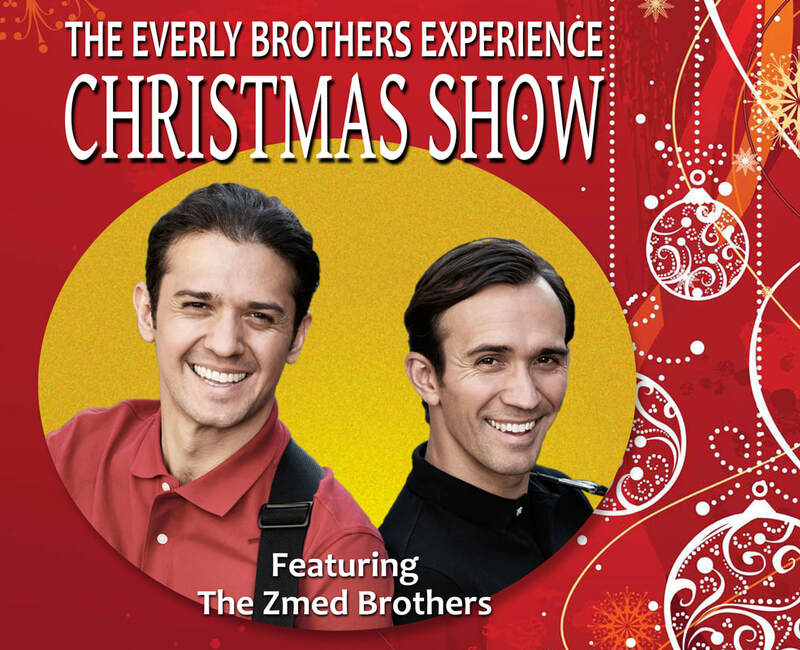 The Zmed Brothers' show this past May was so successful, we've invited them back to present their new Christmas Show production! You'll hear Christmas songs from the Everlys, Elvis, Chuck Berry, and more with songs like "Santa Claus Is Coming To Town," "Silent Night," "Run Run Rudolf," "Blue Christmas." The Everly Brothers had 35 Billboard Top-100 singles, 26 in the top 40. They hold the record for the most Top-100 singles by any duo. They had 12 top-40 albums between 1960 and 2009. Songs like, "Bye, Bye, Love", "Wake Up Little Susie", "All I Have To Do Is Dream", and "Let It Be Me" are icons in Americana music. The Zmed Brothers show is an experience in musical history. The Zmeds say, “Our aim is to honor the aesthetics of their iconic sound and honor their unique place in music history all while telling our own personal story,” and they do just that. "We're taking you back to a time and sound that was unique." If you saw the Everly Brothers Experience in May, you know what an outstanding entertaining treat this Christmas show will be. Don't miss this special Christmas production!